Welcome to Marrakech Marrakech or Marrakesh is without doubt one of the greatest cities in the world. Known as the 'Red City', it is the most important former imperial city in Morocco's history. From its narrow streets of the old Medina and Djemaa El Fna Square to historical monuments such as Koutoubia, Bahia Palace, the Saadian Tombs or the new European modern district called Gueliz or Ville Nouvelle which host modern restaurants, fast food chains and big brand stores. Marrakech is also a city of diversity and tolerance. It has all the advantages of a big city where non-shoppers will be amazed by the colour, diversity and vibrancy surrounding the souks, you will enjoy fabulous nightclubs, new-wave of hotels and riads and radical new Moroccan food where world cuisine is prized make this the coolest place to be. Thank you for visiting Marrakech Travel Guide website. Packed full of useful travel and destination information, This website is a must for those interested in traveling or taking a break in Nice, France. Marrakech continues to be the favorite holiday destination for travelers around the world that want to enjoy the warm weather. With many exceptional historical sites, Marrakech remains one of the world's cities most famous and desired tourist destinations. The website contains information about Marrakech, historic and cultural information, travel tips, itineratines, events, popular tourist destinations, the best cheap and luxury riads / hotels. 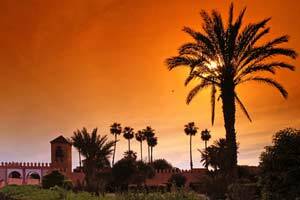 Very user-friendly, www.travelmarrakech.co.uk can be a one-stop-site for those wishing to travel to the 'Red City', the most important former imperial city in Morocco's history. About Us | Links | Contact us | Log in | Entries (RSS) | Comments (RSS) 100 queries. 0.826 seconds.